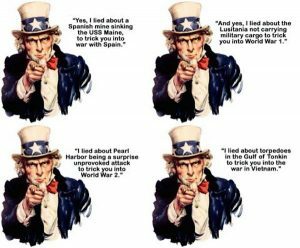 “False flags” have been a staple of international affairs generally and warfare in particular for many centuries, but in the United States they are something akin to an art form. This needs to be understood by anyone attempting to discern what the U.S. may do in the years ahead. The original concept was actually limited to tactical engagements at sea. Ships would often fly the flag of a country other than their own to evade or to deceive hostile warships or (if pirates) potential victims. But the custom was to raise their real colors before opening fire – a custom honored as much in the breach as not. Over time, the concept of “false flags” assumed a wider interpretation. Then and now, it has two variants: (1) operations and incidents attributed to a country or parties who, in fact, were not responsible for something that occurred, and (2) asserting that something bad happened justifying a response, when in fact nothing had happened, or what did happen is exaggerated. Both can now be used in domestic politics as well as in international affairs. 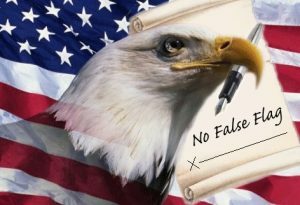 What is unique in the U.S. experience is that virtually all American wars have involved some form of “false flags” to deceive Americans into supporting their government’s belligerence, supposedly claiming the moral high ground of responding to provocation or outright attack when, in fact, neither had occurred. From the American Revolution through the ill-begotten post-9/11 “War on Terror,” every war – including our Civil War – except for the Korean War (1950-1953) has followed this pattern. All of which brings us to the unending, unwinnable and utterly fallacious post-9/11 “War on Terror.” As I have explained in “Demystifying 9/11: Israel and the Tactics of Mistake”. The official U.S. Government explanation of the events of September 11, 2001 is untrue in every key respect – the mother of “false flags,” one might say. It was in fact a classic Mossad exercise, involving Israeli operatives and mostly Jewish neo-conservatives in and around the U.S. Government at the time. 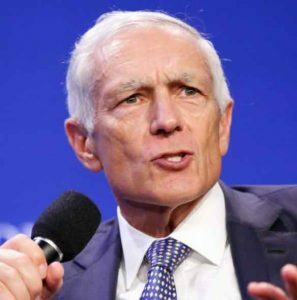 The scope of what transpired was captured several years afterward in an interview with General Wesley Clark (pictured), U.S. Army (ret. ), formerly Supreme Allied Commander Europe. 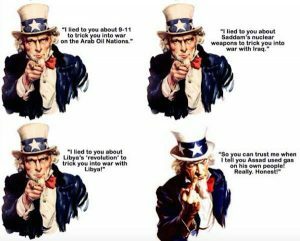 He stated explicitly that the decision to attack Iraq was made two weeks after 9/11, despite no evidence linking Iraq to that event. And a few weeks later, it had been decided to bring down seven Middle Eastern countries – all enemies of Israel – in five years, starting with Afghanistan and ending with Iran, again with no evidence linking any of them to 9/11. Well, it has taken longer than five years, principally because of the unexpected strength and resilience of the Afghan and Iraqi resistance after our invasions. But six of the seven countries have been, or are being, trashed, to Israel’s great satisfaction. Only Iran remains unscathed, despite constant pressure from Israel for the U.S. – with or without Israeli participation – to attack. But the U.S. has unilaterally withdrawn from the international agreement with Iran ending sanctions, and the war is coming – bank on it. It only remains to be seen what “false flag” will be contrived by Israel and the U.S. to provide an excuse for the attack. The Most Important Geopolitical Deal Of 2018?